Congress President Rahul Gandhi will be addressing the Jan Bhawna Rally in Bihar's Purnia district on Saturday from where he will fly to West Bengal to hold his first election campaign rally there. 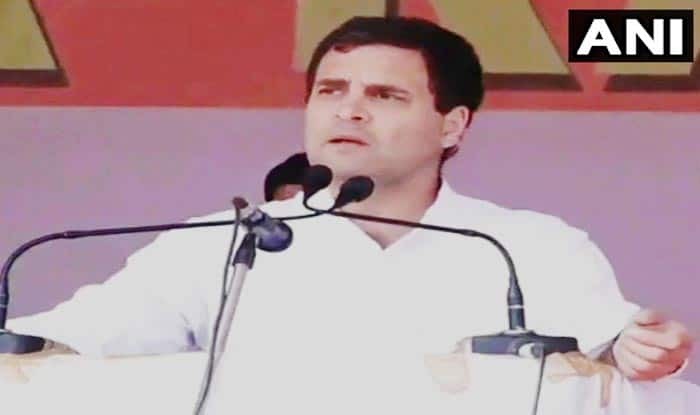 New Delhi: Congress President Rahul Gandhi will begin the election campaigning for the Lok Sabha polls 2019 in with a rally in Bihar’s Purnia district and then address another rally in Malda district’s Chanchal in West Bengal on Saturday. “Left Front announced its candidates in 25 Lok Sabha seats in West Bengal on March 15 without any discussion with West Bengal Congress. Due to the unyielding behaviour of CPI (M) and its ally parties in the Left Front, we are calling off the proposed seat sharing in the state and have decided to fight BJP and Trinamool Congress in Bengal with our own force,” Somen Mitra was quoted as saying. Last month, Mitra had ruled out any possibility of an alliance with the Trinamool Congress for the coming Lok Sabha polls stating that nobody from the party, including its workers, wanted an alliance with the TMC. The CPI (M)-led Left Front in West Bengal on March 18 released a list of 25 candidates in the state for the Lok Sabha elections. The 25 seats included Raiganj and Murshidabad, currently being held by CPI(M). The party had declared its candidates for these constituencies earlier. Out of 25 seats, CPI (M) has fielded its candidates on 15 seats. At present, there are four Congress Lok Sabha Members of Parliament in West Bengal. Voting for the Lok Sabha elections 2019 will be held in seven phases starting April 11 and the results will be declared on May 23.